Cruising with the chefs! We have still some tickets left for this incredible cruise. Come and discover some of the most beautiful parts of Europe with Crave Culinaire. 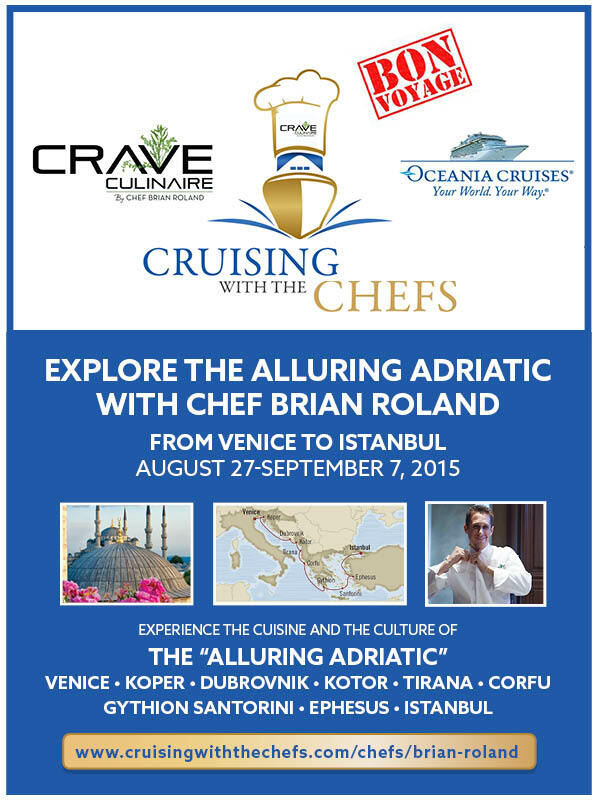 For more information visit http://www.cruisingwiththechefs.com/chefs/brian-roland/ .